Mallory, owner and designer, will be sharing her life behind the screen. 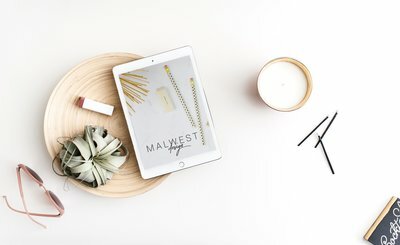 Check it out if you are interested in how she runs her business, shares details of her designs and origins of inspiration. Rang in the New Year tired, pregnant and sober. Attended Creative Founders Conference where I had the best conference experience to date. Overnight and small/intimate is the way to go for me. So much information at this conference I’m still going back to my notes and plan to every year! Threw a bachelorette party at my house, with a two month old. Sedona trip and L’s first wedding/flight. Donated 2+ gallons of breast milk this was thanks to a hurricane scare but a definite mom win moment! Being Boss NOLA conference/retreat. Met some amazing ladies- I always love NOLA but you know it’s a good trip when the location really didn’t matter. Ls first Christmas tree cutting. A longstanding family tradition. First CPA meeting for MALWEST design – no more DIY on tax day or even shopping around to find the best book keeping deals but beginning a relationship with a team to keep MWD and the family in check. My word for the year was momentum and I am happy with the motivation that gave me as well as the results. There were several things I wanted to accomplish/complete in 2017 but when a baby doesn’t nap for two months straight you learn to let things go. Also, “learn to give yourself grace” was some of the best mom-work-life advice I got all year! Another fave was “be in and enjoy your season of life” – I butchered that one but the sentiment is spot on. Money goals: I didn’t make quite as much in 2017 as I did in 2016, which I anticipated because: baby. I did, however, make what I was expecting/planning for at the beginning of the year so that is a win in my book! Philanthropy: Proud to say I’ve donated my time, my design services and money to worthy causes this year. They have been for mainly local Pensacola initiatives and I’m satisfied with that. For 2018 *spoiler alert* my new word is RESET. Stay tuned for what that means for me and for MALWEST design in 2018! © 2018 MALWEST design LLC. All rights reserved.